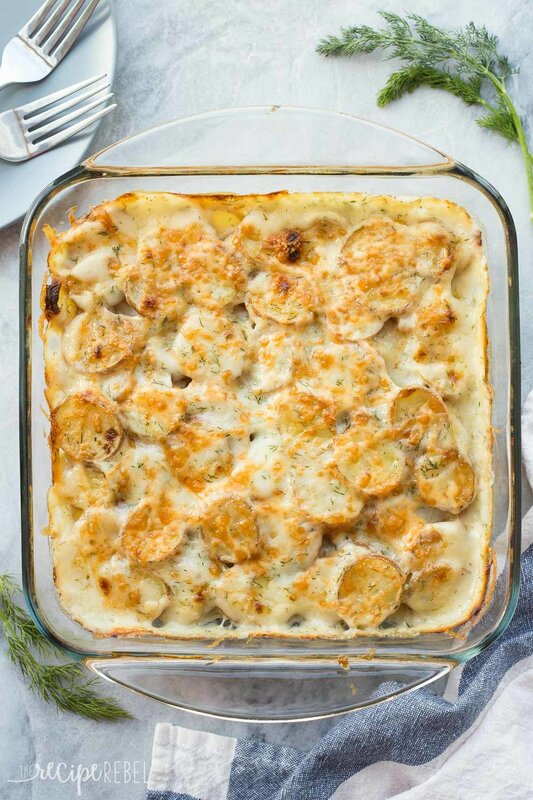 Boursin Potatoes Au Gratin a great choice for "National Potato Day"! 3. In a mixer blend the Boursin, eggs and cream until well blended. 4. Pour carefully over potatoes. 5. Bake uncovered in oven at 375 degrees for 40 minutes, or until top is lightly browned and bubbly.